Just realized I haven't shown you the result of my shoot with Linda Florin - that we did last summer - yet! A warm and sunny day we met up in a forest to take a few pics, and here they are! 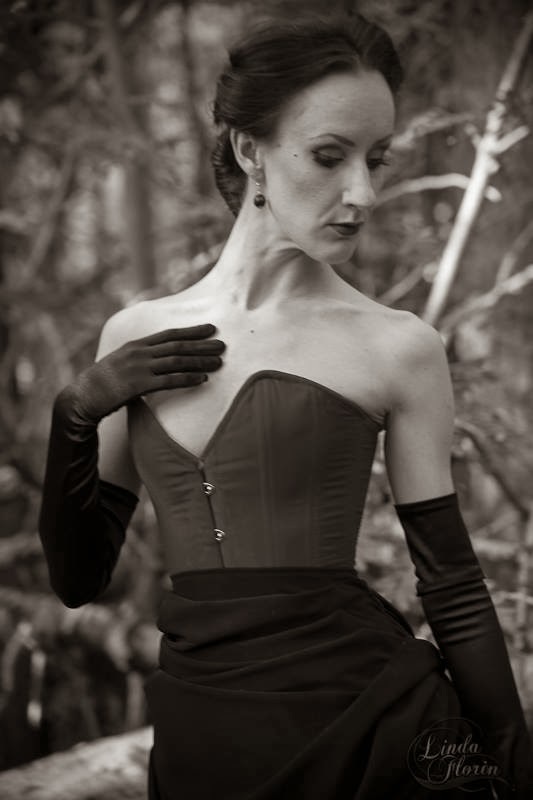 The corset and gloves are from What Katie Did, the skirt I made myself, and that lovely velvet cape is antique, late 1800s/early 1900s. Bought that one from Fanny. All photos by Linda Florin.